Heaping piles of snow covered every inch of Big Cottonwood Canyon as we drove from Salt Lake City up to Solitude Mountain Resort. 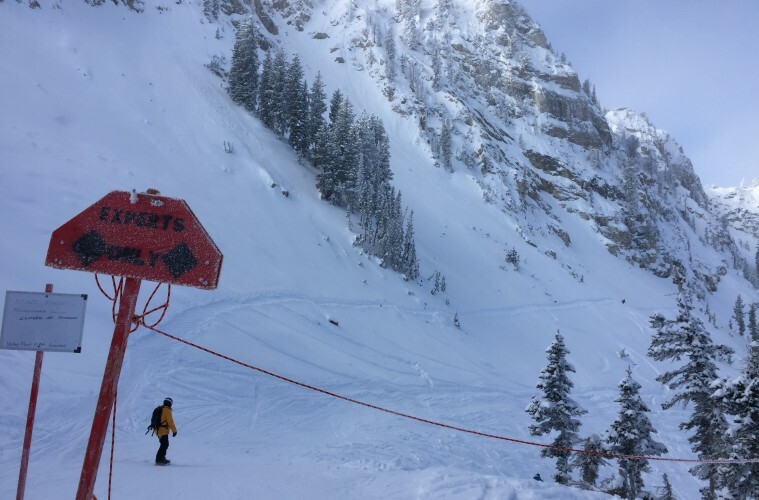 Like most areas out west, the mountains surrounding Utah’s high-elevation capital have been blessed with a lot of powder to play in this winter. Daylight began to fade into the early January evening, but lingered enough to illuminate the small village of Solitude upon our arrival. It was beautifully quiet, especially for a Friday evening, and we checked-in to The Inn at Solitude. Away from any crowds or bustle, it was easy to settle in, even with one final agenda item remaining to complete the long travel day. Hours spent at airports, on planes and in shuttles faded away with each step toward dinner — into the woods we walked, heading for a hearty five-course meal in a high-country Mongolian yurt. Arrival for dinner at Solitude Yurt. Photo by Kim Fuller. I was hungry from my travels (though not from the snowshoe, since it’s less than a mile), and my excitement grew as everyone took seats on the long, cloth and candle-topped tables, set around the chefs and servers as they prepared to share the evening’s main event. Delicious decadence soon commenced, as New England clam chowder, rack of lamb, mixed greens, beef tenderloin and a blackberry yogurt cream cake all came out, course after course, and after a fair share of the wine circling the table, I slouched into my chair, sinking deeply into contentment. 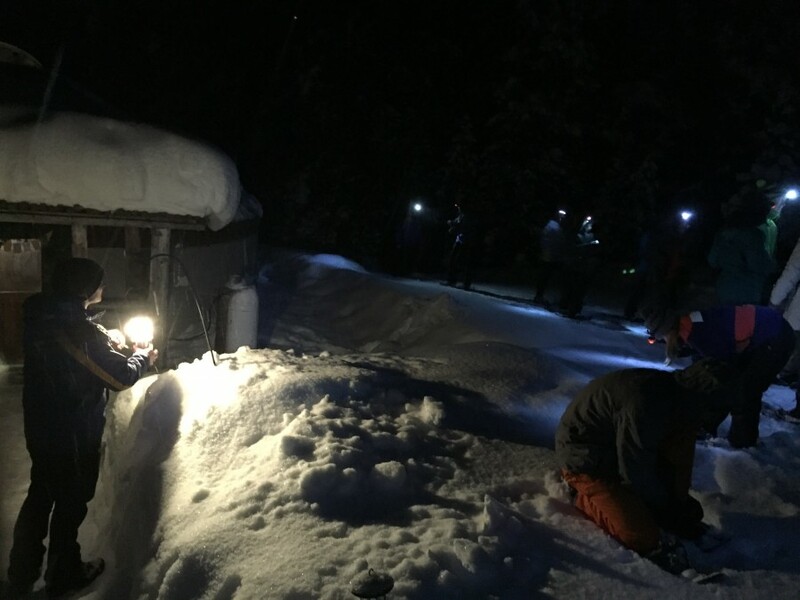 The short, moonlit snowshoe back to Solitude Village sparked a touch more energy into the group — enough of a burst to inspire a whiskey nightcap from the village bar, the Thirsty Squirrel. Solitude opened in 1957, and after over half a century of operation, Deer Valley purchased the resort in the spring of 2015. This last year, Solitude has seen a $7 million facelift, but has kept all of its charm intact. The area has over 1,200 acres of terrain, with groomers, glades and Nordic trails. We hit it on a blue sky morning — a scene laced with bundles of tiny snow crystals, glistening all around us in the sunshine. Solitude lives up to its title, and that’s what makes it special. Photo by Kim Fuller. From the village area, take the Apex Express lift to find a multitude of options for all ability levels (the Sunrise chairlift will offer more options—blue and green runs—from the village). More advanced skiers and riders can take a new run from the top of Apex to the upgraded Summit Express Lift, accessing a scenic lift ride and backcountry-style turns in Honeycomb Canyon. 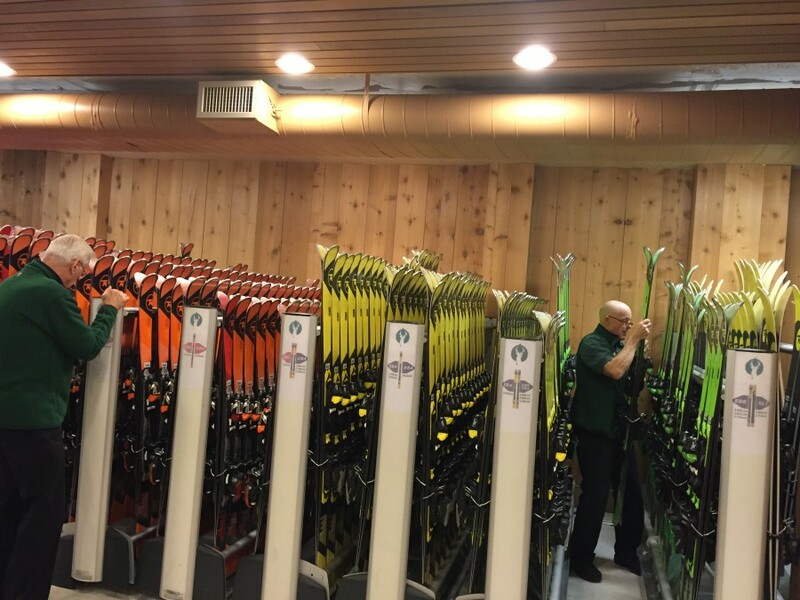 After a couple hours on the slopes, I headed up to the Nordic Center to rent some skate skis and take a lesson. The highlight of the hour wasn’t my awkward stance on the slick skis, but a truly thorough and progressively helpful private lesson from former Olympian Aram Hajiyan, Nordic Center’s manager. Solitude has 20 kilometers of Nordic skiing trails, groomed for both classic and skate styles. Solitude has 20 kilometers of Nordic skiing trails, groomed for both classic and skate styles. Photo by Sherri Harkin. For those staying in the village without a car, there are shuttles that can take you to the Nordic Center. Utah trout at The Brass Tag, Deer Valley. Photo by Kim Fuller. Although Deer Valley could be minutes away for a bird flying over the mountains from Solitude, hit the roads in winter, and it takes just over an hour to drive the route from Solitude to Park City and up to Deer Valley. If you’re hungry from the journey, not to worry. Stop by any one of Deer Valley’s dynamic food outlets for prepared meals or gourmet snacks. 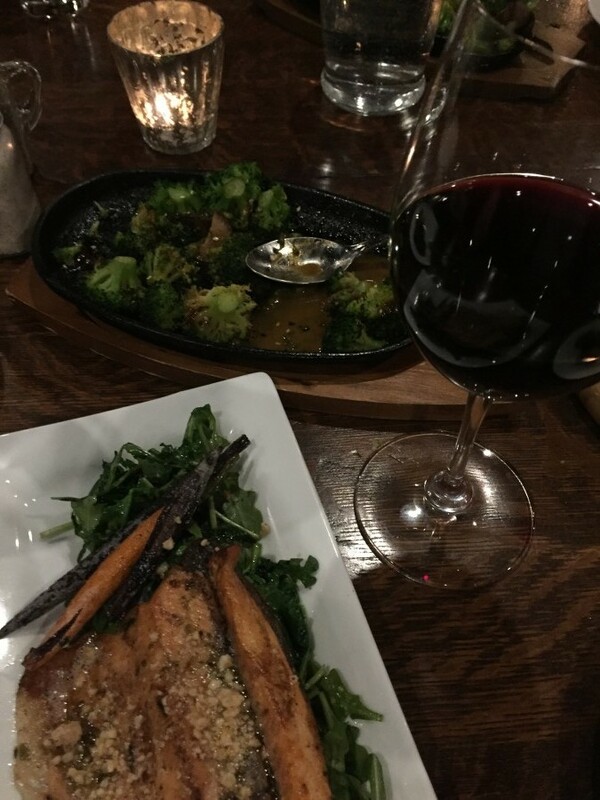 It’s a ski resort with a love for good food, which makes the mountain experience there all the more rich. Straight from Solitude, we checked into The Lodges at Deer Valley. Before I found my accommodations, I took a peek in the on-site general store, tempted to buy wine by the bottle, wheels of homemade cheese and thick bars of dark chocolate. Next up, however, was dinner at The Brass Tag, a comfort-food haven inspired by brick-oven cuisine, so I swallowed my appetite and headed up to settle in. The spacious digs at The Lodges were more than sufficient for a single or a couple — a condo that would be ideal for a group of friends or family, complete with a kitchen, living area two bathrooms, a master bedroom, and options to connect with other units. The decor was appropriately rustic with wood accents, and all the amenities were upscale and modern. Ski Rentals at Deer Valley. Photo by Kim Fuller. Minutes from the base area, it was easy to get on the skier shuttle and arrive at the Snow Park Lodge in the morning. 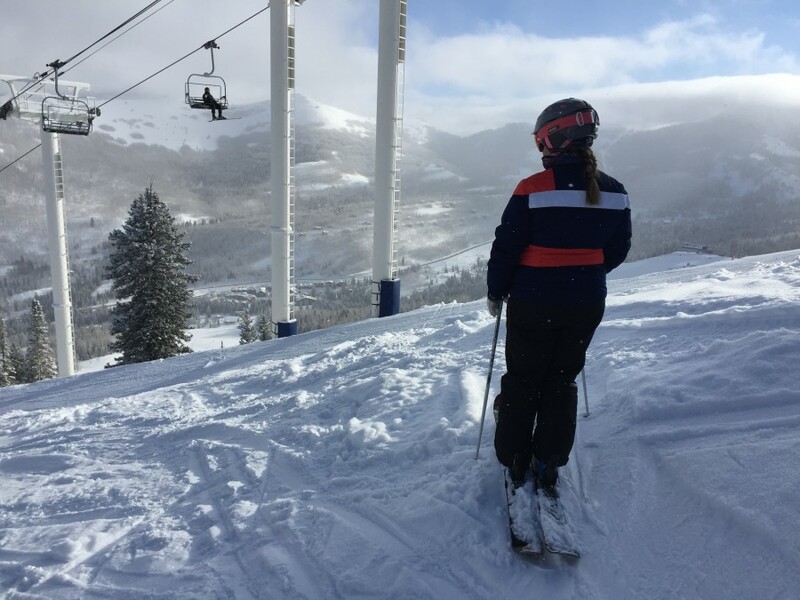 Deer Valley is known for its high level of service, and I really enjoying the seamless rental system, with a kind and helpful staff, and a really fast and streamlined experience overall. With just over 2,000 acres of skiable terrain, Deer Valley Resort caters to all levels of skiers (still no snowboarders allowed). Groomed greens, blues and double blues make up a majority of the runs, but expert skiers can head to any of their 32 black runs, any one of the area’s glades, their six bowls or two chute areas. For anyone riding the learning curve, Deer Valley offers ski school options for kids, adults and teens, including private lessons, adult speciality programs, and kids’ adventure clubs. Deer Valley Resort. Photo by Kim Fuller. The resort has been really blessed this season, with overnight dustings (and dumps), followed by crisp, clear mornings. We cruised all over, which is a great way to see the area and everything around it. The mountain spans across a lot of terrain, more so than straight up and down, so a day out there feels more like an adventurous traverse, with plenty of spots for hot chocolate stops, and time for a casual, mid-mountain lunch at the Royal Street Cafe. 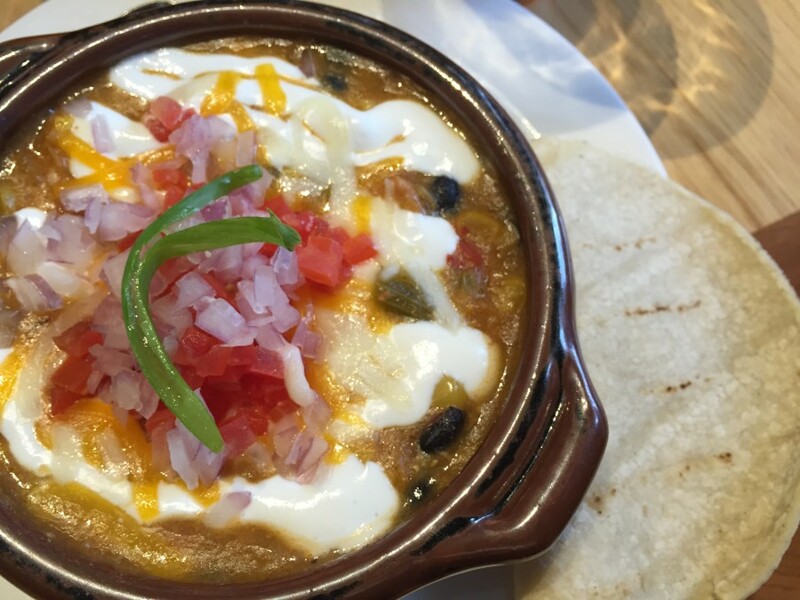 The Deer Valley turkey chili is a staple crowd pleaser. Photo by Kim Fuller. Among other specialities, the Deer Valley turkey chili is a staple crowd pleaser, and a hearty complement to a salad of roasted butternut squash, red quinoa, brie cheese and kale. For après-ski, our group headed over to the Montage for a look into full-on, Deer Valley luxury. The estate is overwhelmingly large, but with fine details that keep it intimate for guests. The spa as a whole is 35,000 square feet — all the more easy to lose yourself in for the afternoon. Before my treatment, I tucked into a down feather blanket in the ladies’ lounge — a peaceful prelude to the relaxing Alpine Body Bliss massage. Montage Deer Valley massage. Photo courtesy of Montage Deer Valley. Leaving Deer Valley was the only disappointment I found there. As a veteran of all things fancy and fine, the resort prides itself in luxury accommodations, high-level service, thorough mountain maintenance and top-tier dining to create memorable moments for all its guests. It’s classy, yes, but not the most expensive place to ski in America. Deer Valley is $126 for an adult all-day ticket in its peak weeks this season. Vail is charging around $160 for an adult all-day ticket. Now, with Solitude as a new venture (at $79 for an adult all-day ticket), Deer Valley is offering local and visitors a snowboarding option, a little less pretense, and a lot more variety to their menu. 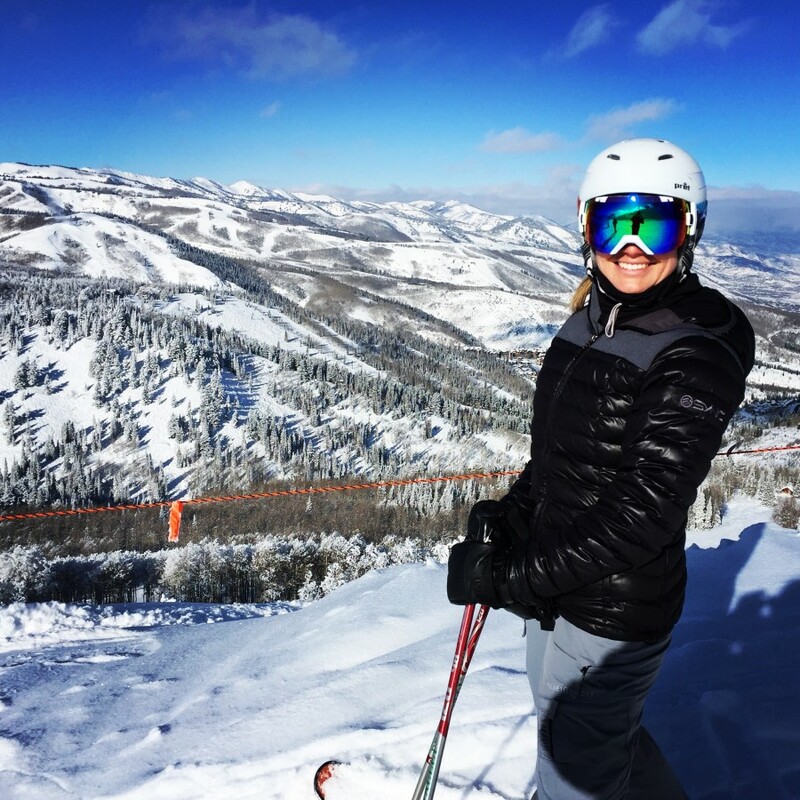 Kim Fuller skiing Deer Valley.